Prizes were also awarded to the best entries in the Lotus cars’ group, the vintage and classic cars’ group and the commercial/military preserved vehicle group. Thanks to all of the vehicle owners who took part in the extensive motorised section. Thanks also to the Harley Davidson bikers and the Monster Pick Up Truck. 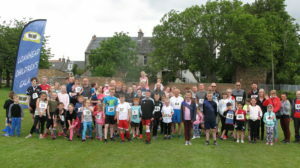 Thanks also to the bands, Crackerjaqz, Gemini Pom Pom Troupe and Loanhead Disco Dancers for their contributions to the parade, the drivers who provided open top cars for the Court Principals and Crowning Lady and to Penicuik Hunter & Lass Committee who undertook the judging. 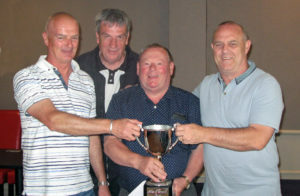 After a fantastic day of bowling, the winners of the Gala Pairs were Davy Baxter and Alan Ward. Well done Alan and Davy. First overall was this year’s Crown Bearer, Archie Stephen.